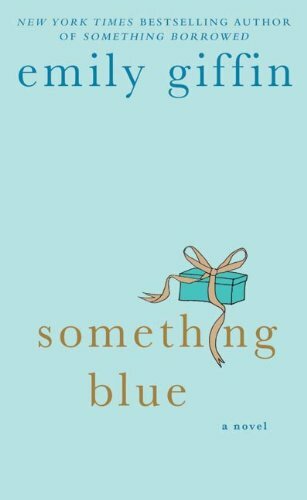 After reading and loving Emily Giffin’s first novel, Something Borrowed, so much, I was anxious to read the sequel, Something Blue, which highlights the flip side. Again, Ms. Giffin didn’t disappoint me. Something Blue is a must read after Something Borrowed. Darcy Rhone has sailed through life by using her good looks and smooth charm. Rules? She didn’t play by them. And karma? She never worried about it. However, her seemingly perfect life gets flipped up-side-down when she learns her “plain Jane,” good girl best friend, Rachel, has had an affair and fallen in love with her fiancé. To add to her predicament, she finds herself pregnant and alone. For the first time, Darcy is struck with the harsh reality that her life has become. While she doesn’t fully grasp that her lack of sincerity and 30 years of not playing by the rules has led her to her current situation, Darcy decides to start fresh and flees from her luxurious New York City apartment to London, where she bunks with her childhood friend, Ethan, in his one bedroom flat. When Darcy first arrives in London, she’s still very much the superficial Darcy. However, as her pregnancy progresses, Darcy’s outlook on life, love, and what truly matters transforms as well. One of the things I love most about Emily Giffin’s writing is her ability to characterize the characters of her books so well in addition to highlighting tough life decisions. I made a similar comment in my review of Something Borrowed, but I think it’s worth repeating. 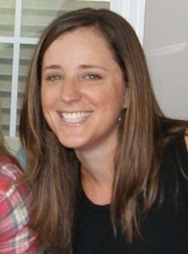 Ms. Giffin makes a subtle case throughout the story that life decisions aren’t always black and white. There is a lot of gray area, and sometimes you just have to live life to realize that truth and learn from it. If you’d like book reviews like this sent directly to your inbox, sign-up here for my weekly book review newsletter.